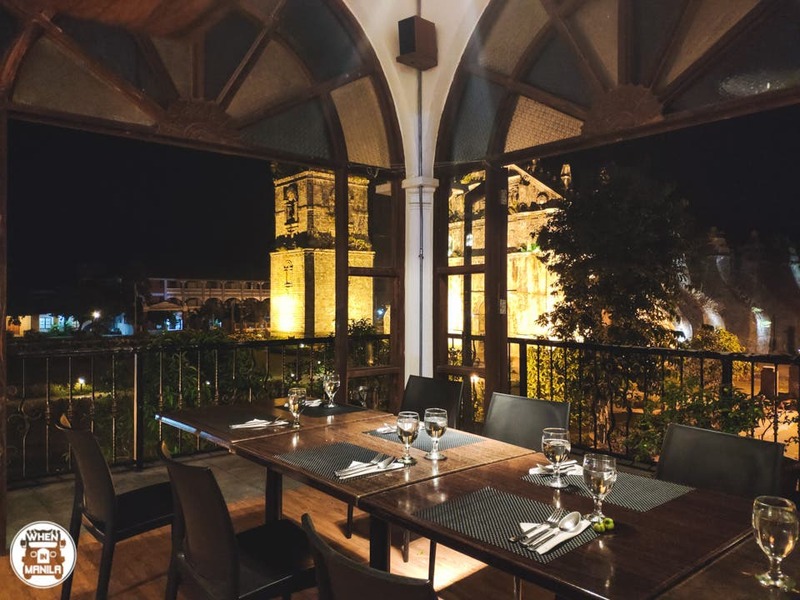 The post Smoke Bar + Restaurant Provides a Scenic View of Paoay Church appeared first on When In Manila. The beauty of traveling encompasses many things: creating meaningful memories with your companions, exploring indigenous gastronomy, and learning the history and culture behind the place. 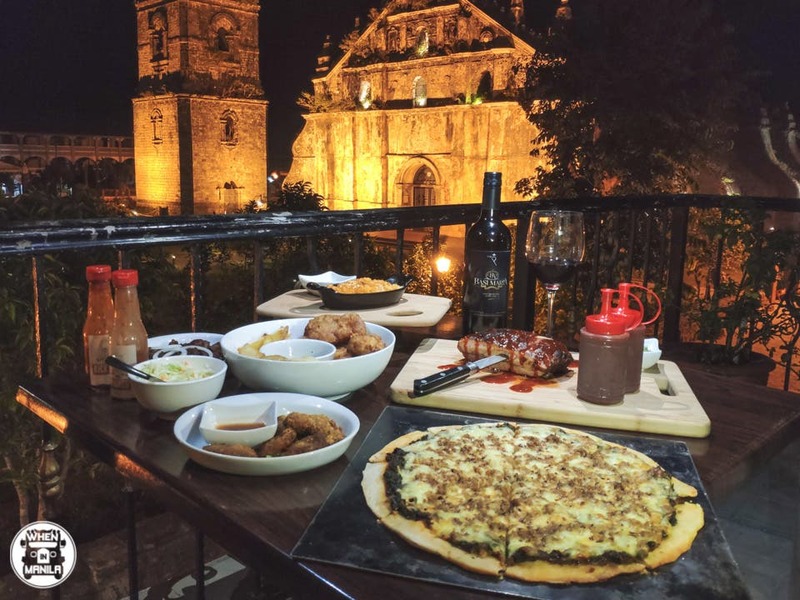 In one restaurant at Ilocos Norte, you can do all of this in one place. Check out Smoke Bar + Restaurant. Smoke Bar + Restaurant is managed by longtime-friends-turned-business-partners Chris Stolk and Mon Manotok. It is situated across of Paoay Church, a famous piece of Augustinian heritage built in the late 16th century. With its brick overalls and distinct buttresses, the Paoay Church’s baroque-gothic motif makes it an iconic landmark in the area. Aside from the grand exteriors and stunning visuals, its sturdy architecture impresses many. 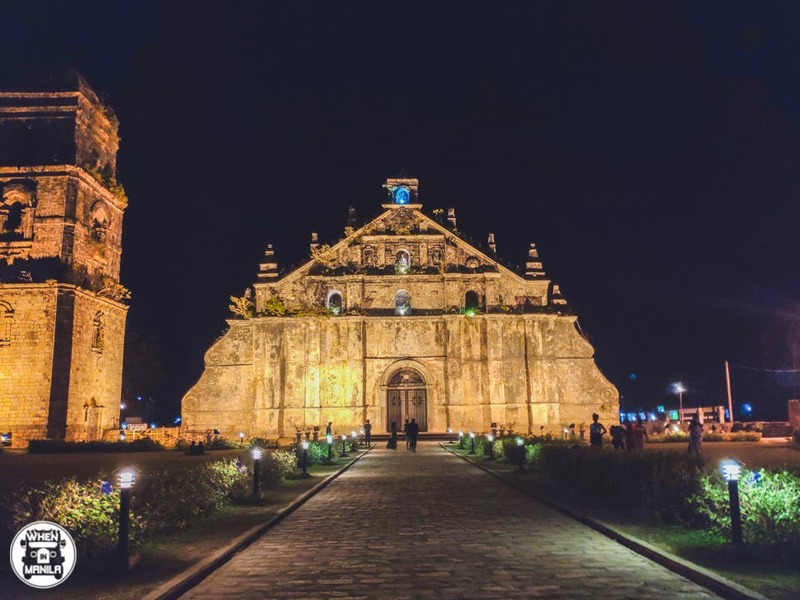 In fact, it was declared as a National Cultural Treasure by the Philippine Government and as a World Heritage Site (Baroque Churches in the Philippines) by the United Nations Educational, Scientific, and Cultural Organization (UNESCO). 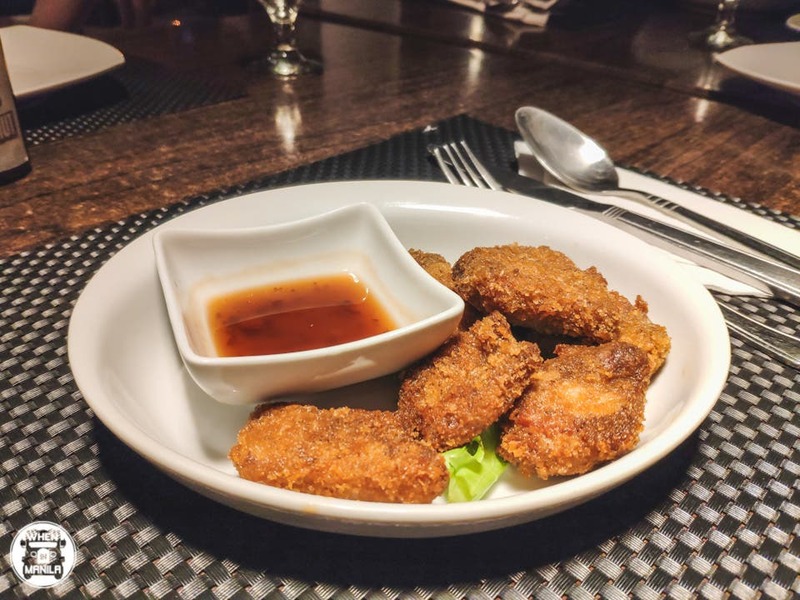 The US Smokehouse capitalizes on that perfect location to serve Ilocano cuisine that matches the site. 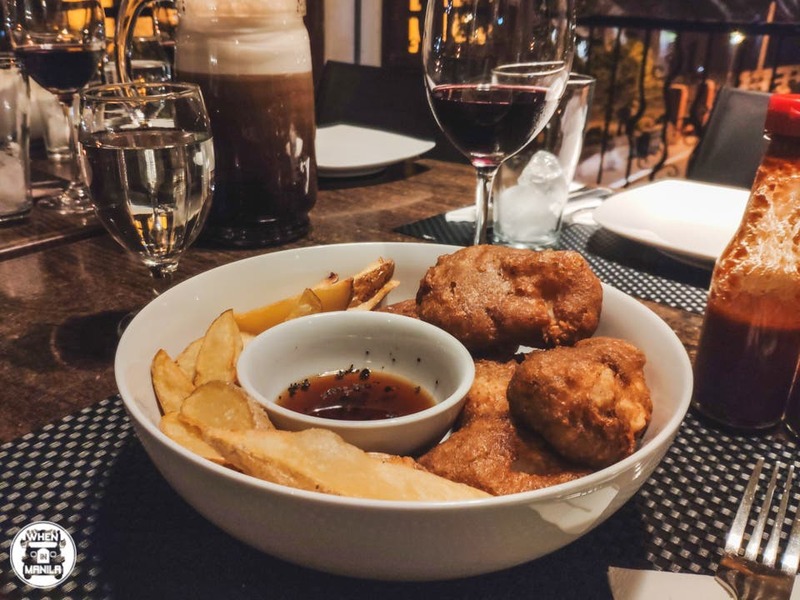 However, in order to differentiate themselves from the countless nooks cooking up the same menu, Smoke Bar + Restaurant boasts of a unique take on Western dishes by giving them a local twist. These bite-size treats deserve to open the journey you’re about to embark on. This American staple is served with a homemade sweet chili sauce that both natives and foreigners will love. 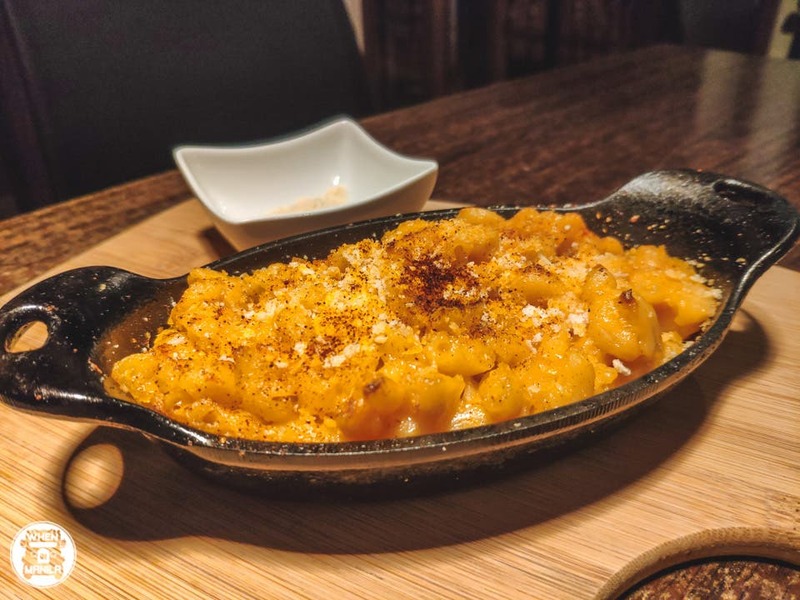 Another western favorite is the Baked Macaroni and Cheese. This dish is served in a cast iron skillet to retain the melting cheese. It comes with a side of parmesan cheese for even more gooey goodness. You’ve probably never had laing like this before. It has the perfect balance of coconut cream and smokiness from the bacon. Want more laing? Order the Laing Pizza! It has the same delicious taste as the a la carte meal, just elevated with a soft yet crunchy crust. You can also order one with longganisa as a topping for more meat. 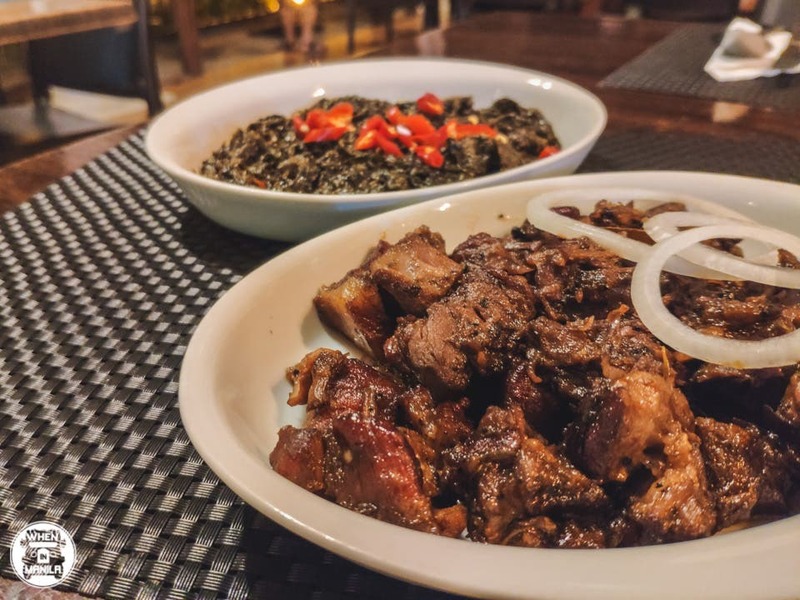 You won’t go wrong with their Pork Adobo. It has a harmonious balance of saltiness, sweetness, and acidity that you’ll keep craving for. The use of Balsamic Vinegar gives it a distinct flavor. Fan of seafood? You won’t be disappointed with this order. It has a hefty amount of fish covered in a light and crispy batter that creates the perfect contrast of textures. For the star of the night, don’t forget to try their American Slab of Ribs. Dubbed as the best ribs in town, you’ll savor every bite of this smoky, tender meat. Pair it with the homemade barbeque sauce and you’ve got yourself a winner. For drinks, order a glass of their local wine (Php180/glass). You can also take home their special bacon for only Php625/500 grams or Php1,250/kilogram. This indulgent meat has the right ratio of fat to meat. It is also cured for 3-4 weeks and smoked using apple and cherry wood chips. This gives it a roasted aroma and an undeniable deeply-infused smoky flavor. Every centavo is worth it when it comes to this bacon!